It’s not really too difficult to pack for the beach. Apart from your usual beach essentials which would consist of a bottle of sunblock (or tanning lotion), insect repellant (which I swear by now), a first aid kit, a few swimsuits, tank tops, shorts, kaftans, a pair of flipflops, and maybe a pair or two of sandals for beach nights, you don’t really need to pack much else unless you’re also attending an event (i.e. a wedding or a proper party). 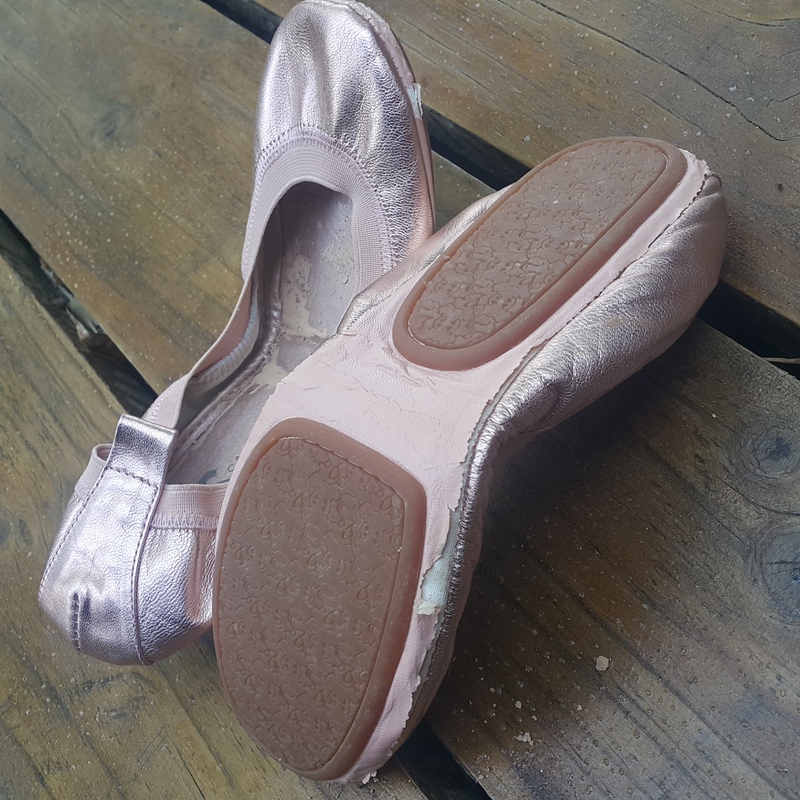 On this particular trip of mine, I decided to bring a pair of foldable ballet flats that I found among my shoes. If I was not mistaken about the timeline, I received this pair of pretty “pink gold” leather flats just last Christmas. They were brand spanking new when I decided to pack them for my trip, and I placed them in the pouch which came along with the shoes when I received them. I had to go to dinner in a dress so I wore them out. The last pair of foldable flats I had were from Tod’s, and I wore them so much because they were truly comfortable. But I only had that one pair and it was in navy. I had on a cream- colored dress and I thought the navy ones wouldn’t work well with a light, summer dress. So I brought the metallic pink Yosi Samra flats, excited to wear them for the first time. I wore them to dinner, and as I walked out of the restaurant after a wonderful meal, one of the ladies at reception alerted me to the “crumbs” that my shoes had been leaving as I walked. I was soooo embarrassed. The insoles had also begun to crumble and were sticking to my heels. It was really disgusting and humiliating. 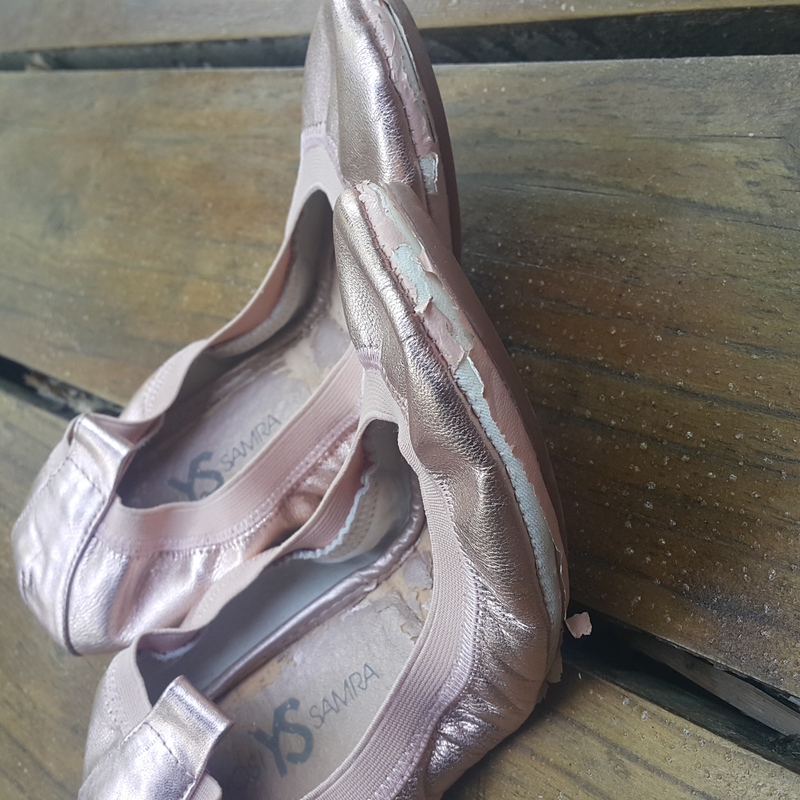 Aghast at what had happened since the “newness” of the shoe only lasted all of an hour before it began disintegrating, I posted photos of the shoes as I wore them on my personal facebook account, asking friends if this has happened to any of them. I was alarmed to find out that there were over 15 people who also had very similar complaints about the same shoe brand. 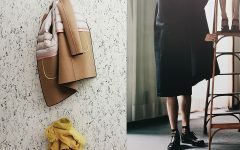 While there were a few people who mentioned that humidity could be a culprit, there were also ladies who said that their foldable flats from this same brand had lasted them anywhere from under a month to 3 months tops, even if they were comfortable to wear. And this was what prompted me to also write about this because this was a first for me. I’ve never had shoes “disintegrate” like this as I wore them. paying for subcontractors with cheaper laborers (resulting in shoddy workmanship) just to lower their costs and increase their profit margins. As a result, we consumers end up suffering and losing money to these brands while they happily count their profits. Sigh. I hope these brands realize that when we consumers band together and decide not to patronize their shoddily- made products, their companies will end up in the red. I do hope that they consider investing in proper contractors with proper materials commensurate to the selling prices of their products. So this is a good lesson learned– before spending $$ on shoes, do check on fashion forums for feedback or ask around about the brand first. Shoes are expensive these days. They are investment pieces. So this statement rings true in retail these days– Caveat emptor. Let the buyer beware. Those areas that peeled and cracked are definitely faux leather. It is usually described as leather shoes with man-made lining/sole. That’s why it’s better to check shoe description online (if available) before buying in an actual store. Grabe! Buti na lang, wala ako nyan! I got to wear mine only once. When I was about to wear it second time, the edges were sira na. The tahi or whatever that glues the shoes to the soles are luwag na and anytime magkakabutas na sya. Sayang. Money down the drain. So much hype pero walang quality. Never got to use it anymore. I don’t even want to look at it. Omg so humiliating! Perhaps paying a little more for a pair of Tieks would be better. 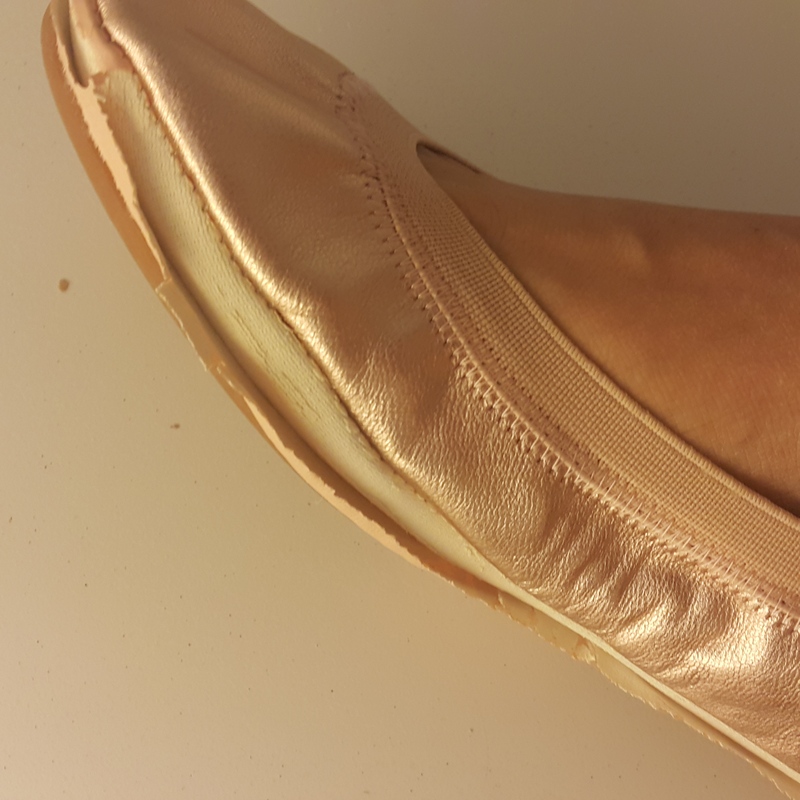 I’ve seen Yosi Samras super marked down in a warehouse sale (in tandem with a sportswear brand) and the pairs I’ve seen look a lot like yours–crumbly and in bad shape. Must have been stuck in storage for too long without breathing space! Mine too! 3 Yosi Samra shoes and the garter is already maluwag. When I asked the staff before if this could be fixed, they told me that its really like that, I’m like huh? I had three pairs of yosi samra. all have flaked within three months. i will never buy this brand again. how dare they sell these shoes at their market price. not even worth five hundred pesos. It’s a relief to know that I am not the only one who encountered problems with YS. Not only did mine flake, some parts tore open too. I loved my pair to bits because it really was comfortable to wear, but after a month of everyday use, it was no longer decently wearable.